Lynne Segall always has us covered with her myriad of finds. She’s not blind to this one seen in Atlanta, Georgia. We always wonder what the “more” is with these kinds of places. Andy Schneider is hot on the trail for PSNs wherever he goes now. All the way from the booming metropolis of Blowing Rock, North Carolina, he sends us this find. I guess Andy needed to get out from wherever he was staying and went looking for PSNs. PSNs are indeed a precious commodity in the eyes of Sandy Schneider. Spotted in Richmond, Virginia. This is a classic PSN that probably feels like we have seen it many times before in many different places. Nevertheless, it floors us every time. Spotted by Jonathan Schneider in Jupiter, Florida. Hemingway didn’t write it, but it’s still a fitting PSN for a home decor store in Key West, Florida. Spotted by first time punter Yuri Goldvasser. Who knew Sinatra was into quilting? Spotted by Jonathan Schneider in Boca Raton, Florida. Those sailors sure do have dirty minds. 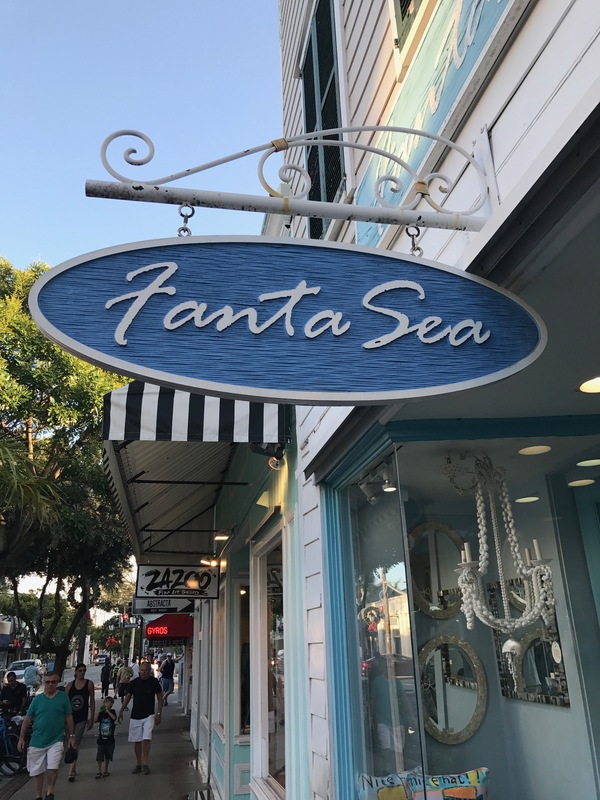 And there must be something to please them at this by-the-sea related home store. Spotted by Jonathan Schneider in Tequesta, Florida. Rosemary Clooney was once seen shopping here. Well, not really. But this PSN does pay homage to her most famous song, Come On-a My House. Spotted by Jonathan Schneider in North Palm Beach, Florida.